iRealHousewives | The 411 On American + International Real Housewives: Jackie Gillies Explains Why She Thinks Lydia Schiavello Wants To ‘Hurt’ Her Relationship With Janet Roach! Jackie Gillies is taking to her Arena Blog to dish on this week's episode of The Real Housewives of Melbourne. 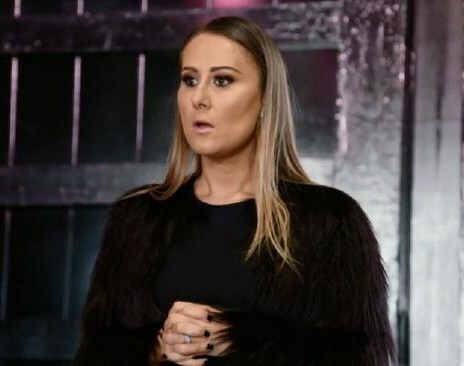 Jackie Gillies opens up about her psychic reading session with newbie Sally Bloomfield and her issues with Lydia Schiavello. I’ll start by saying a HUGE thank you to everybody for supporting the show. I hope you’re loving it so far. We had a ton’o’fun filming this season and it was an interesting mix up with two new Housewives. Welcome to Sally and Venus. My focus this year has been on my very first Shine It Up event. And now the 2018 Shine It Up national Australian tour. It’s the first time I have ever done anything like this, but it feels like my soul purpose. I’m excited, nervous and anxious all at the same time. The Shine It Up rehearsal was a little bumpy. We’re still ironing out some kinks. I hope it all comes together on the night. OMG! Is this going to work?!!! I’m leaving everything in the hands of the angels and the universe, and I have faith everything is going to shine through beautifully. Ben, babe, you need a hair cut! Shine it up, we’re gonna shine it up, WOO! OMG, Sal! I don’t remember what comes up in my readings. It’s how the universe helps me release all of the energy I’m taking on – but I do recall a few things. Watching your reading back gave me so much joy! I hope it has given you some reassurance, closure and the knowledge your loved ones are always around you – especially Ian. That man is your soul mate! Who cares about the photos, Venus. We’ve all seen them. You have them, just own it. I think the audience is more interested in the mysterious Rob?! ???? Lydia, why are you so concerned and interested in my friendships? They have nothing to do with you. Just to be clear. Lydia DID ask Ben and I to lie for her and that’s where our troubles started. It’s over. I’ve forgiven her. If you can’t see how close Janet and I are, you might need to have your eyes checked. Janet and I are #Jacket ???? We became #Jacket from the first moment we met, and we will be #Jacket until we take out last breath. Sisters from other misters. The Huxley boys rule. Nice sparkles."